Marathon runners, even the gold medalists among them, keep training to improve their times. Fortune 500 CEOs keep streamlining their businesses to increase their profits. And website owners must invest in continually optimizing their website for conversions. The obvious reason runners do it is to run faster; CEOs to earn more; and webmasters to get more conversions/sales from their existing traffic—CRO tools have an average ROI of 223%. However, those aren’t the only reasons to invest in conversion rate optimization. There are five more (albeit, less obvious) reasons why it’s vital to your business as well as your personal life. Feature testimonials on your website to help increase conversion rates! Sign up for Spectoos, today! Conversion rate optimization is the process of increasing the percentage of your website visitors who perform a desired action, whether that’s filling out an email form, downloading a case study, making a purchase, or leaving a comment on your blog. It’s not necessarily about gaining more website visitors but getting more out of the website visitors you already have. Unfortunately, the average conversion rate for businesses is lower than 3%! Lead Nurturing Campaigns: A marketing campaign focused on engaging and educating your prospective customers can help generate more sales and larger sales. In fact, nurtured leads make 47% larger purchases. Marketing Automation: Using marketing automation software to make social media posting, emails, and nurturing prospects automatic can increase sales productivity by 14.5% and reduce overhead by 12.2%. Creating Landing Pages: The right landing page with appropriate CTAs, images, and videos, can improve conversion rates by 86%. You can find more conversion rate optimization tips here. For now, let’s talk about the 5 ways conversion rate optimization can help your business. You likely have a KPI related to the number of conversions or sales on your website. You know where you are and where you need to be. If you have set 100 to be your magic number of monthly conversions but you are currently at 50, doubling your conversions without conversion rate optimization (CRO) means doubling your traffic. And doubling your traffic likely costs twice as much. And if you spend twice as much on traffic, you will need even more conversions to pay for it. The silver lining behind this ominous cloud is that with CRO, you can optimize your current traffic to convert better. You can get more conversions without increasing your traffic — more bang for your buck, so to speak. What exactly can you do to get your current traffic to convert better that doesn’t break the bank? 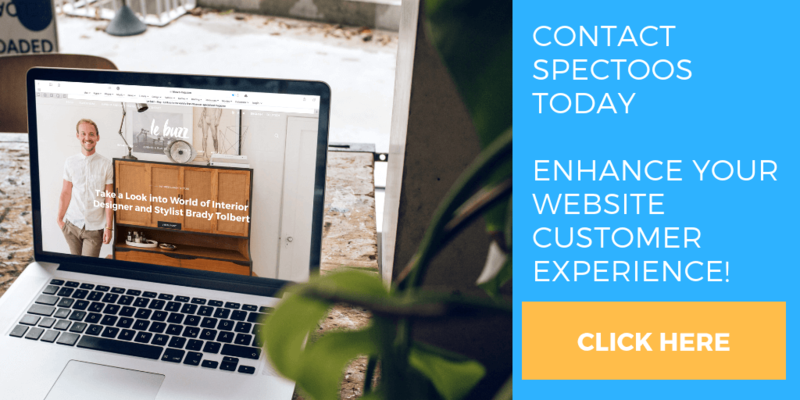 Include Testimonials: Including customer testimonials on your landing pages and homepage can help improve your conversion rates by as much as 4.6%. The key is how you use the testimonials. Customers want proof that the testimonials are real, so use a platform such as Spectoos that includes pictures and links to social media profiles, making them more authentic. Here are some more ways to optimize your testimonials. It’s not enough to make a new landing page and assume it will work for conversion rate optimization. You have to test multiple versions of your landing page to see which headline works best, which CTA is most effective, and what makes your customers most likely to convert. 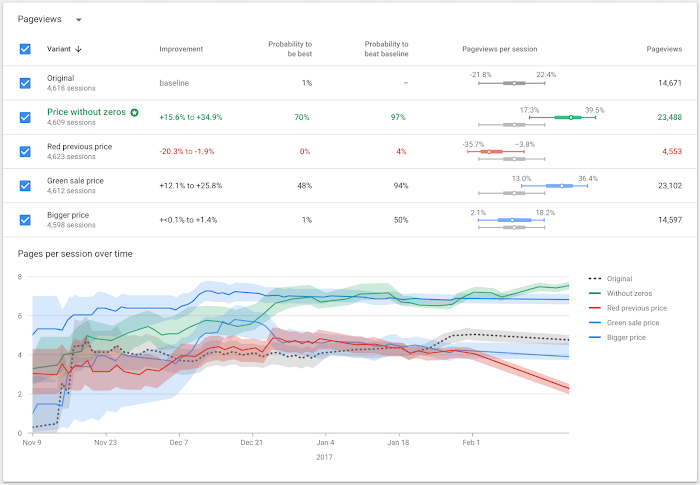 Try Google Optimize for free. When conversion rates improve, more site visitors progress through conversion funnels and less “bounce” off the site (that is – visit just one page and exit). Whether bounce rates affect search engine rankings is a controversial question, with some SEO experts swearing they do and other attesting that they do not. Nonetheless, we want visitors to our site to visit multiple pages and consume our content, so reducing the bounce rate as a side effect on conversion optimization is a wonderful thing! Improve Readability: Large chunks of text can scare away readers. Try using bullet points, shorter paragraphs, and headers to make your landing pages easier to read. Avoid Popups: Popups can be annoying and most website visitors dislike them immensely. Get rid of popups to keep people on your pages. Optimize Load Time: 47% of users expect a web page to load in two seconds, so the quicker it loads, the more likely they’ll stick around. Include a Clear Call to Action: One crystal clear call to action is less likely to confuse your visitors and will help make user intent clear. In addition to reducing bounce rate, you’ll want to help drive traffic to more landing pages. To do this, use attractive CTAs that encourage your visitors to click to another page on your website, whether that’s the shopping cart or a landing page for a free download. You should also implement interlinking in your blogs and landing pages so that visitors can easily and quickly go to the landing page most valuable to them. 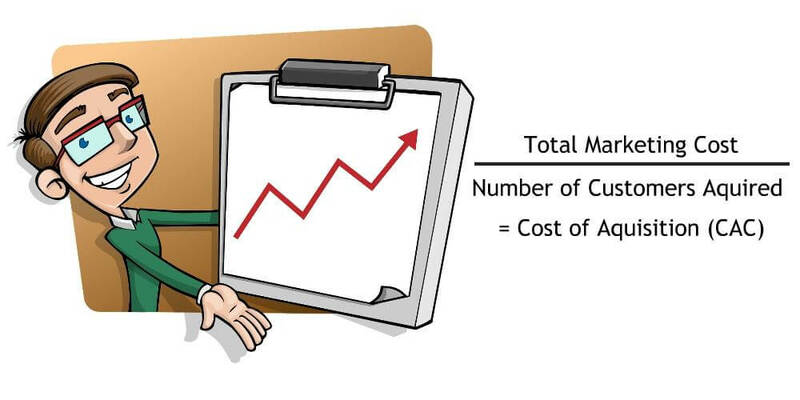 When measuring the cost of acquisition of our customers (CAC), we take the total amount spent on marketing in a given period and divide by the number of customers acquired during the same period. Naturally, by using conversion rate optimization, the same spend yields more conversions; therefore, the CAC is cut in half. For example, if the total marketing spend was $20,000 and resulted in 50 customers, the CAC is $400 per customer. If, with CRO, we increase the conversions in a given month to 100, the CAC goes down to $200 per customer. By increasing conversion rates and lowering CAC, we spend less money acquiring each customer. This frees up budget dollars to try new channels, traffic sources, and marketing strategies. Perhaps more can be invested in generating more content, which will, in turn, further contribute to lowering bounce rate. We can invest the budget in creating case studies, videos, or using testimonial software to add authority to our site (thereby improving conversion rate optimization – it is all a wonderful interconnected cycle of profit generation). Optimizing your conversion rate against your own benchmarks is great. It shows that you are constantly striving to improve and not getting complacent. Conversion rate optimization, however, can also give you the “slight edge” against your competitors. The theory is that you do not need to be 100% better than the competition to get 100% more sales. All you need is a slight edge. Back to our marathoner’s metaphor – you do not need to win by hours or even minutes. Whoever crosses the finish line a split second before the other takes it all. Optimizing your conversion rate to make your site slightly more appealing, slightly more compelling, slightly more converting – makes you the clear winner. Conversion optimization is like finding a winning stock. By investing the same amount as you always have, you get more returns. It is a process that constantly needs fine-tuning and commitment, but there is always room to further improve and create more conversions from your existing traffic. Has conversion rate optimization worked for your website? We’d love to hear about your experience in the comments!